Every year before the season starts and you look at a teams roster, you can point out some names that need to make their mark and find their potential within an organization. Three players that are in this situation include newly acquired winger Zack Kassian, center Lars Eller and defenseman Nathan Beaulieu. We will take a look at the impact these players can have for the Canadiens and what they will be looking to prove come training camp. Winger, Zack Kassian will be looking to not only play up to his potential in his first season with the Canadiens but to exceed those expectations as well. Kassian’s most common linemates in Vancouver consisted of Shawn Matthias and Brad Richardson. It’s interesting to note that although Kassian had a down year driving possession by posting a 49.8% Corsi for, he had a very big impact on his linemates and drove up Shawn Matthias by 2% Corsi for and Richardson by a whopping 5%. The Canadiens lost defensive awareness and play with the trading of Brandon Prust , but they gain a more offensive presence in Kassian that can definitely improve his linemates play and potentially drive possession if he stays healthy. With such a high draft pedigree, it’s clear that the potential for Kassian is there, but will he be able to stay healthy and live up to it? You have to think that Kassian will be given a chance to succeed here if his back stays healthy, but it will ultimately depend on his consistency, which has been an issue thus far in his career. The most logical fit in the Canadiens lineup has Kassian pinned on the third line being centered by Lars Eller and anchored by one of Smith-Pelly, Semin or Weise. Depth has become an important thing to have, as the NHL is slowly transitioning from a top six/bottom six mentality towards a top nine/bottom three style. Early in his career, the sense is that his coaches are trying to make Kassian a player that he isn’t, and that’s a grinder. Sure, Kassian can play the body, but if you know anything about his skillset it’s that he’s ultimately a goal scorer that just happens to also be big and mean. 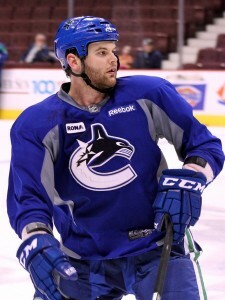 Will Kassian make an impact on this years Canadiens and help contribute? I’d expect it if he’s able to stay healthy. With a very accountable dressing room, you can make sure that this team won’t let players take nights off, and that Kassian will be pushed to the limit and hopefully find that consistency aspect to his game. Kassian’s likely line mate, Lars Eller is also on the list of players that have a big season to prove themselves ahead. Entering his sixth full NHL season, we are reaching the point now where we have to begin to wonder if Eller will ever be more than a number three center on the Habs depth chart. Sure, Eller has the potential to be more than that, but judging on how he has been used and what he has shown, will he ever be able to reach that potential? A lot of people are waiting for Eller to turn that corner and show his potential, and we have to include the Canadiens brass in that conversation of people expecting more as well. Eller signed a four year extension during last years off-season, and it seems that either the Canadiens are accepting him as a third line center going forward, or will look to move him for another piece if he doesn’t reach his full potential. Over the past three seasons, Eller has produced at a 1.51 points per 60 minute rate. It’s not fair to compare Eller to the likes of Desharnais and Plekanec, both of whom have higher quality linemates and more friendly zone starts. With his lack of time on the powerplay, we have to wonder if Eller had Desharnais’ zone starts and power play time, what he would be able to do offensively for this club. The path may actually be even harder for Eller now, because if Alex Galchenyuk is given a shot at center, then Eller could be the odd man out and shifted to the wing or even traded. 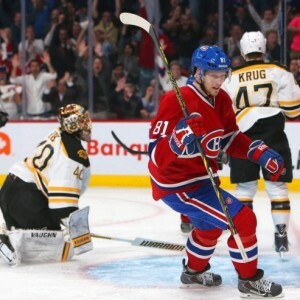 We have to consider that Eller plays a very strong defensive game and is very important to the success of the Canadiens, but can he take his game to the next step and finally hit the 20 goal plateau like most expect? With the way that Eller is positioned offensively, it’s kind of naive to expect Eller to produce like a top six forward, but the expectation is still there for him produce, whether it is fair or not. It’s time to give this man more responsibility. A player of Beaulieu’s style is so vital to the success of this Canadiens team and it’s time that Therrien starting utilizing the great talent that he has in Beaulieu. When you have great talents, one of the first things that a fan may think about is when is this player going to cash in for that big money contract and will it be with our team? Beaulieu signed a two year bridge deal this off-season worth 1 million annually, and it will be Nate’s job to prove that he has the capability to be a building block for the Canadiens future going forward. With this contract, the possibility is there that with a declining Andrei Markov, that Beaulieu could actually be the Canadiens third best defenseman behind PK Subban and Jeff Petry during this contract. 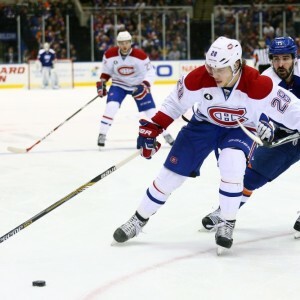 It will be interesting to see who Beaulieu begins the year partnered with, and I personally think that he is a great fit beside Subban and that they would be able to hem the opposition in their zone and specifically dominate territoriality and with possession. 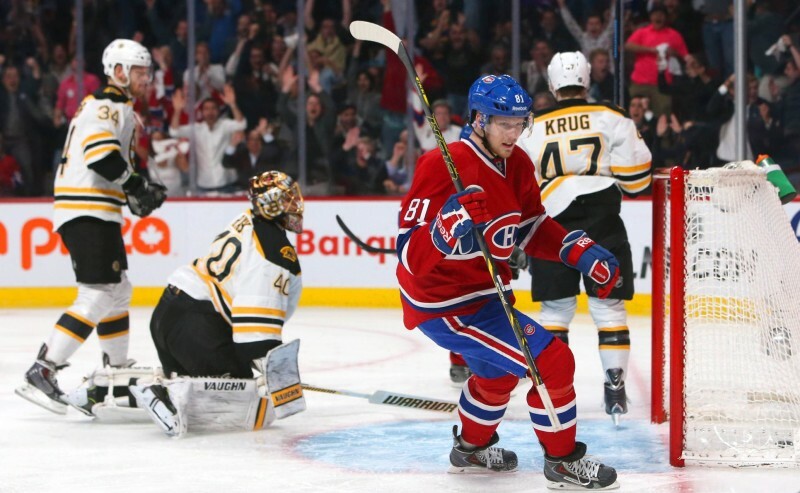 In 2017, Andrei Markov’s contract is off the books and that is when we should see Beaulieu receive a sizeable raise, which is an even bigger reason why the Canadiens need to be in win now mode well some of their young players are on cap friendly deals. Albeit a small sample size, but when Beaulieu and Subban have been paired together, they have managed a very excellent 56.8% Corsi. The Canadiens have a few NHL ready young defenseman in the wings with Greg Pateryn and Jarred Tinordi, so it will be interesting to see if a veteran like Tom Gilbert or Alexei Emelin (if anyone will take him) are moved out in order to make room if either force managements hand. Of course Beaulieu is still learning and there will be bumps along the way, but his playing time certainly needs to increase if the Canadiens hope to keep up with the rest of the new younger styled NHL. 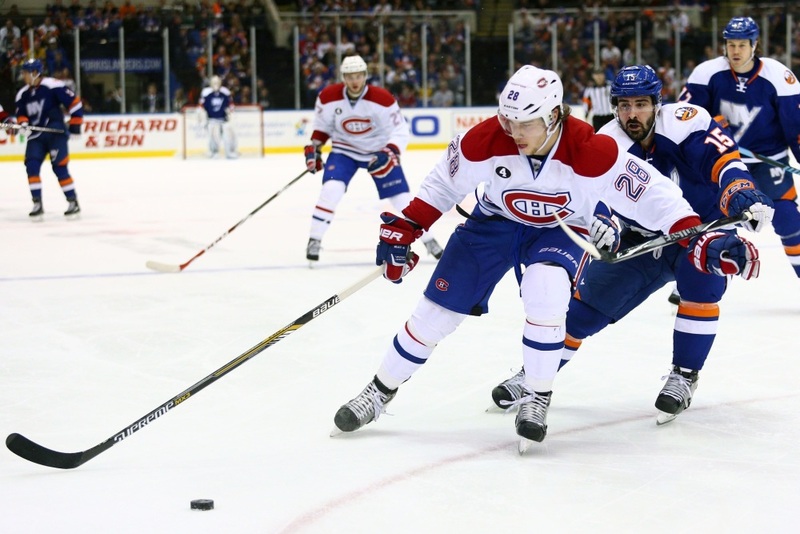 These three players, Kassian, Eller and Beaulieu are all interesting question marks for the Canadiens this season. It will ultimately be up to the coaching staff as to how these players are used, but all three of them could have success with the Canadiens if they’re placed in positions to succeed.